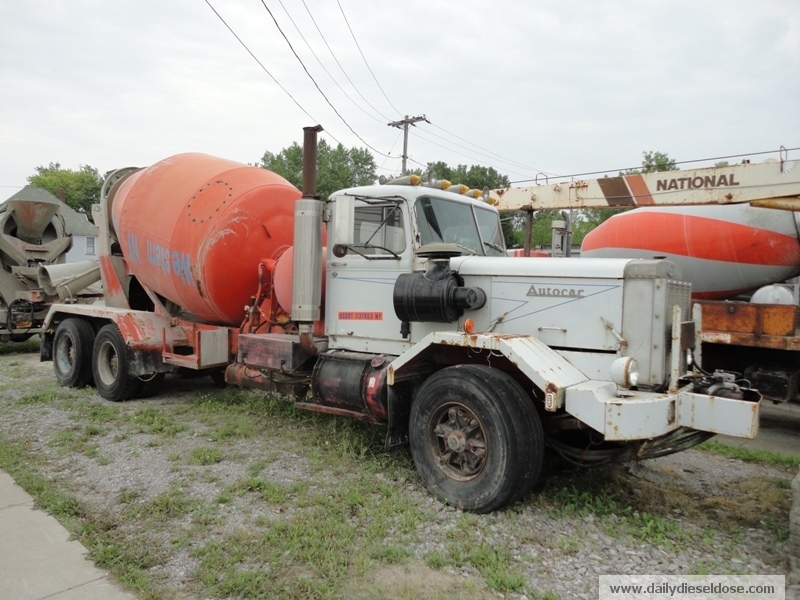 Here is a lot of nice old iron in one location and for once it’s not a scrap yard! 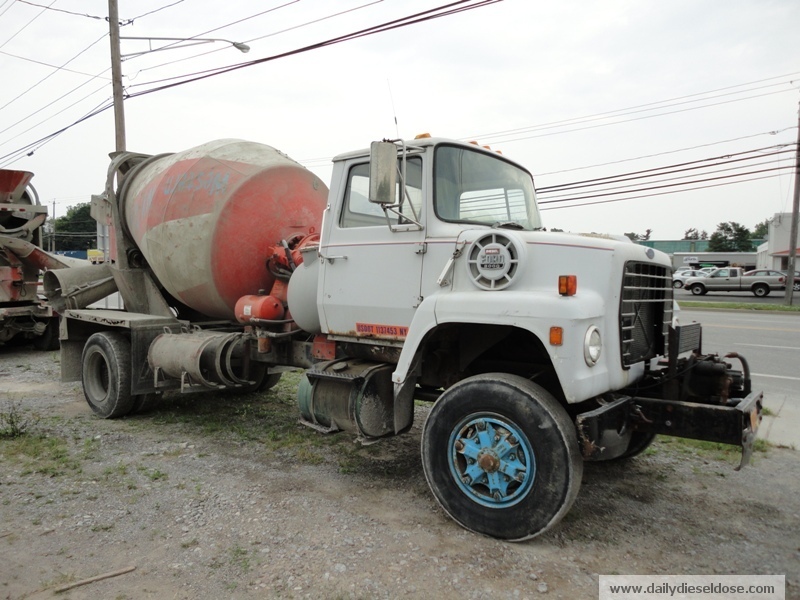 Western NY Concrete Corp of Batavia, NY has a large fleet of newer model front discharge mixers but also quite a few old Autocars and Fords. I know the new front discharge models offer more utility and functionality than the rear discharge units but I just don’t care for them. They all looks the same regardless of manufacturer. 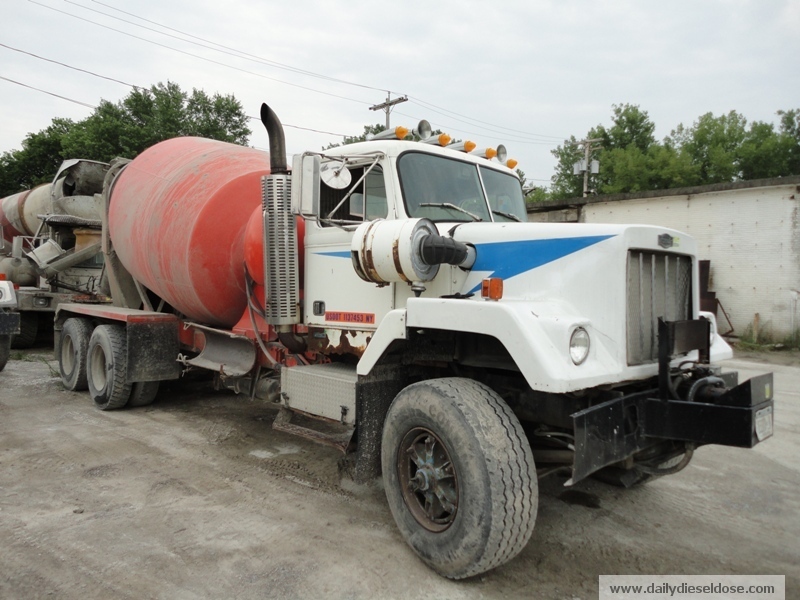 Of course if I had to drive a cement truck each day I just might sing a different tune. Enjoy! 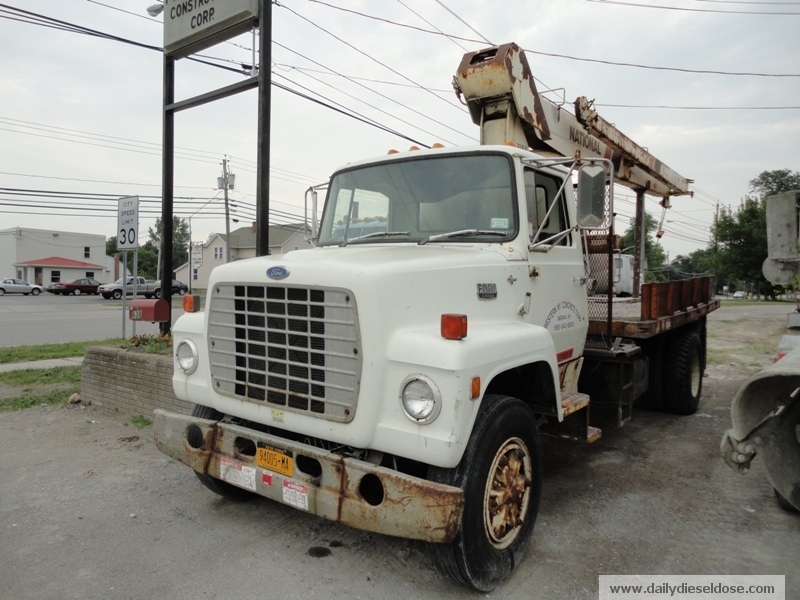 Do you know of an old truck that is still earning it’s keep? Email Me! 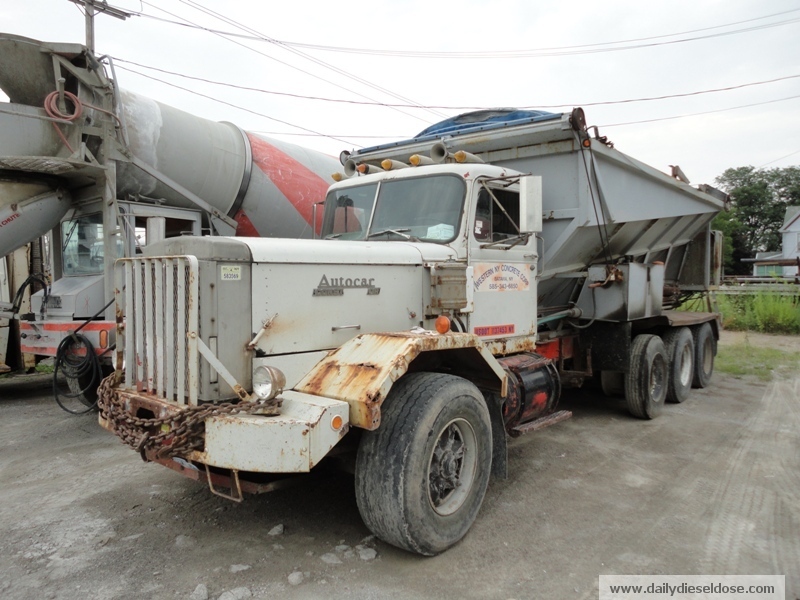 This entry was posted in Still Working and tagged autocar, construcktor, ford, western ny concrete corp. Bookmark the permalink.